Seismic survey is based on a study of behavior of artificially induced elastic waves. These waves spread from its source in all directions. At the interfaces they are refracted, bounced and returned to the surface, where they are registered by seismic receivers. By the timing of waveform and study of the wave nature, it is possible to determine the depth and shape of the interfaces. Seismic methods can be divided into two basic groups – reflection seismicity and refraction seismicity. Seismic wave spread velocity can be converted to modulus of elasticity and other physical properties of rocks can be derived. 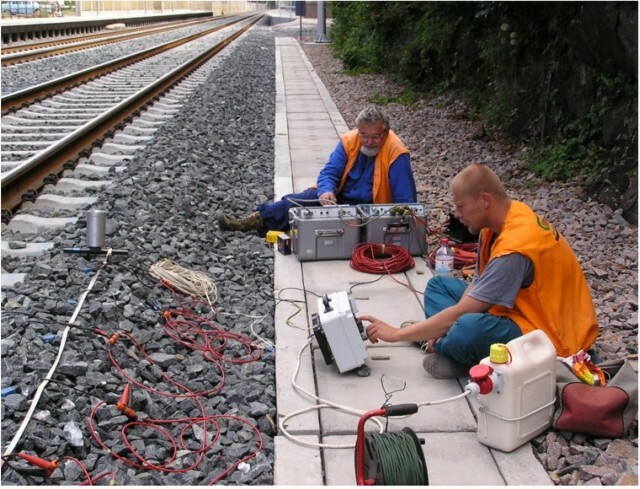 Currently we provide seismic measurements in cooperation with our partners, the company G Impuls, Prague. Terraloc Mk-6 (ABEM, Sweden) in version 48 channels, OYO Mc1600 (Japan) with 24 channels. 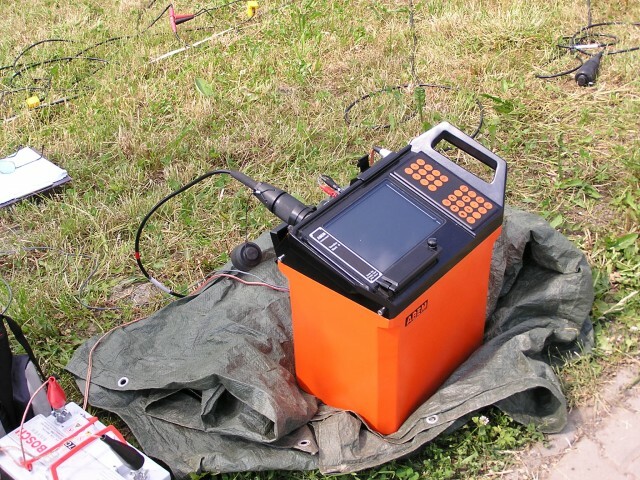 For passive monitoring of seismic signals are available 2 apparatus constructed by the Institute of Rock Structure and Mechanics of the Czech Academy of Sciences (9 and 12 channels). Apparatus can be used to monitor seismic activity e.g. in undermining places. It is possible to measure seismicity in variant of refracton seismicity, reflection seismicity or MASW variant (analysis of surface seismic waves).